Psychic attack symptoms are often difficult to prove. Some people suffering from what is called a psychic attack might not be aware they are being targeted. There are several types of psychic attack that carry significant signs the person is being victimized. What Is a Psychic Attack? Many of the world's cultures believe in the ability to harm others through what's known as a psychic attack. Some refer to this form of violence as placing a spell on someone. Black magic practices are often used to create this type of harm to another person. Ancient cultures define psychic attacks as real and once the symptoms are recognized can offer various remedies. Not all psychic attacks are a conscious premeditated aggression. Some people may not even know they are attacking the victim. 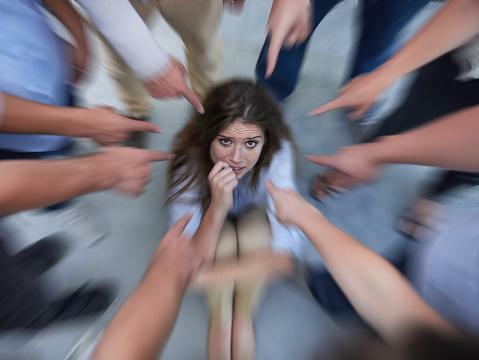 Attackers often have strong negative emotions regarding the victim. These can be jealousy, envy, resentment, and other unhealthy negative emotions. Other predators attack the person deliberately. 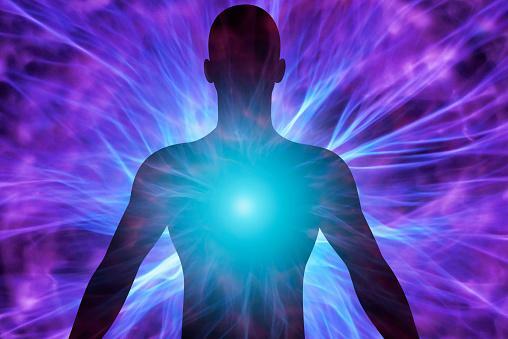 They focus on interfering with the targeted person's energy fields, such as chakras or the aura. There are various ways to attempt this, but the common thread is to send negative energy to the targeted person. This can be in the form of mental pictures, thoughts, and even emotions. Some strong attackers use suggestive and hypnotic techniques. You can be under a psychic attack and not be aware of it. You can assess these circumstances by making a list. Write down every strange and odd thing that happens. These can be little things at first that expand and accumulate. Pay attention to how others react and interact with you. Note who was with you when these things happened to you. Were you always with the same person? 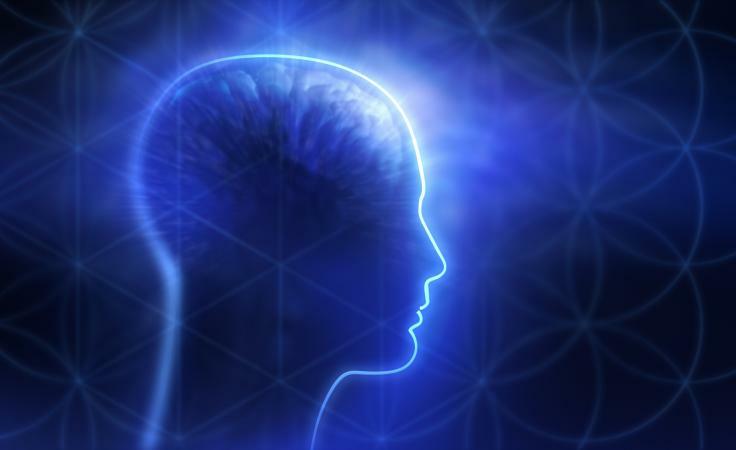 People claiming to suffer from psychic attacks often reveal they have negative thoughts that are not their own. This type of attack is not always easy to recognize. In fact, sufferers often question their sanity since the strange thoughts come out of nowhere. If the person is attuned to their inner being (higher self), they can quickly discern such an intrusion into their thought processes. This kind of attack starts with subtleties that aren't easily recognized and build upon each other until the person is mentally exhausted and confused. A manipulative adept can even control their victims by sending disturbing mental images and even thoughts. They can cause their victims to act out of character through this mental disruption. Empaths that haven't come into their own are very susceptible to this kind of attack. Delve deep into your psyche and reinforce yourself with meditation, mantras, and personal affirmations. Envision yourself inside a ball of mirrors similar to a disco ball. Focus on this mirrored ball protecting you and deflecting/reflecting those thoughts back to the one sending them. A very common symptom of a psychic attack occurs when you are most vulnerable - asleep. This type of attack comes in the form of a nightmare. The victim dreams of being hunted or chased. The nightmare heightens with the victim being viciously attacked. Fear and panic drive the nightmare, and it often becomes a repetitive dream that over time physically and mentally exhausts the victim. The best defense for these nightmares is to program your dreams before going to sleep. This takes practice, but with diligence and patience it works. It 's an excellent defense about psychic attacks while sleeping. Thirty minutes before going to sleep, fill your mind with words of love, hope, kindness, and forgiveness. Read love poems, scripture, or positive affirmations. Avoid harsh lights, TVs, and noise when powering down for sleep. Ambient white noise is conducive to a restive sleep as are recordings of nature sounds. Low light or complete darkness are also a must for restive sleep. Lock your bedroom door so you won't psychologically feel vulnerable while sleeping. Wear a protective crystal, such as black tourmaline, to ward off psychic attacks. Fluorite will disguise your energy so it's difficult for an attacker to find you. Labradorite is a well-known defense against psychic attacks. Feeling as though you're in a trance-like state or under a hypnotic influence could point to a psychic attack. The victim is usually in the presence of their attacker. The attacker's energy field can be strong enough to overpower the victim. Some attackers are trained in hypnosis and know how to modulate their voice and use specific words. Interrupt the person as often as possible and distance yourself immediately. Music or a TV can break the mind-control by disrupting the person's energy field and interrupting their connection to you. Focus on your religious/spiritual belief. If you are Buddhist, mentally recite the Three Universal Truths or Four Noble Truths, if Christian recite Bible verses, psalms, or prayers, etc. Wear or carry a religious token or icon of your faith at all times. Touch this symbol while mentally repeating verses and prayers. Another possible symptom of being under a psychic attack is the sudden inexplicable sense of fear. This often isn't any kind of fear that you've ever experienced. It can take extreme measures, such as a fear to drive the familiar road to your place of employment, a sudden fear to venture outside your own home, or fear to enter a church or other religious gathering place. The fear overcomes the victim until the individual is simply unable to move. They fall into a state of inexplicable panic and suffer the physical symptoms of terror. Encapsulate yourself in white light, forming a bubble. Call upon God, angels, and/or guides to protect you from this unseen force. Repeat calming affirmations and read texts or scriptures that calm and reassure. Focus on positive things and recognize the fear is not coming from you. Envision it bouncing away from you and back to the person who sent it. You can feel the effect of the energy a person generates when they create a curse or black magic spell. This comes to you as an outside force or energy. It may give you a headache or some other physical sensation. The good news is such acts always ricochet back to the person creating them. There's an old saying, "Be careful who you point your finger at, 'cause you have three more pointing right back at you." This is how sending negative thoughts and energies to another works. The universe holds up a mirror and sends it back threefold to the perpetrator. Still, you need to protect yourself from such evil actions. Use protective crystals and gemstones to absorb and deflect/ward off this kind of energy. Wear a symbol of your spiritual faith, such as a cross or amulet. Call upon your guides/angels for protection. Use a singing bowl or other sound healing tools to clear out negative vibrations in your home. Ask for intercession from God, Christ, Buddha, etc. Divinity can intercede, especially in cases of black magic being used against you. Smudge your home with sage while reciting a prayer or mantra. Use salt and rubbing alcohol in a fireproof pot or pan set on fire to draw and clear negative energy. A lack of energy can wear you down and be the result of a psychic vampire draining your prana or chi energy (life force). Some people don't even realize they're psychic vampires. The symptoms of coming in contact with one are weakness and exhaustion. If you've ever witnessed someone who was feeling low suddenly burst with energy and comment how you always make them feel better, it's possible that person is an unaware psychic vampire. They feel better because they siphon off your chi energy, leaving you feeling drained. There are several ways you can protect yourself against people who drain your energy. The most obvious defense is to avoid the person or have brief contact. Wear a protective gemstone, crystal, or amulet. Encase yourself in a bubble of white light immediately. You can wrap yourself layers of bubbles. Envision being inside a mirrored ball. The psychic vampire's energy is reflected back to them. They'll quickly leave you in search of someone else. Once you understand the various forms a psychic attack, you can assess your situation. Undertake a two-prong line of defense to ensure you've covered all the bases to take care of yourself. This includes medical and psychic assessments followed by any treatments and defense techniques specific for the type of psychic attack being waged. It's important to realize you can have symptoms of a psychic attack and not be under attack. There are very real physical and mental illnesses that mimic psychic attack symptoms. Be sure you approach any analysis with a healthy dose of skepticism. For example, if you're depressed or have suicidal thoughts, consult a medical professional immediately. The truth is, you'll need all the help you can get to defend yourself if you are under psychic attack. Establishing a healthy medical first line of defense will keep you from deteriorating while you fight with a second line of defense. The second line of defense is both spiritual and psychic. Analyze when the attack occurs or escalates. Write down where you were, what you were doing, what you were thinking and who you were with. If you're convinced you're under attack, plan and execute your defense. It's important to remember you are a sovereign being of God, and no one underneath the divine Creator has the right to exert their will over yours. Don't give your permission to them. Stand up against a psychic attack by declaring yourself a child of God. State you have dominion over those trying to manipulate you. You'll immediately feel their hold over you release and disappear. Always protect yourself by encasing yourself in a bubble of white light. Anything that isn't of divine light won't be able to enter your bubble of light and harm you. Where to Find Free Psychic Mediums Online By Patricia Lantz C.Ht.